Borneo is the third largest island in the world and it contains the oldest rainforest on earth. It’s home to many species that can’t be found anywhere else. Many new species are discovered every year because Borneo contains some of the few remaining untouched and unexplored jungles on the planet. 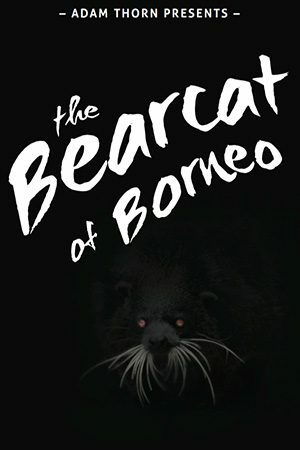 Adam Thorn, animal biologist and expert, travels to Borneo in search for an animal that is so elusive and so bizarre that most people don’t even know that it exists. It’s a creature with the tail of a monkey, the claws of a cat, and the face of a bear. It’s called the bearcat or binturong. Making good use of the resources that are available, Adam and his team head into the water. This is the quickest and most efficient way to travel because of the density of the forest they want to explore. The rivers in Borneo are owned by saltwater crocodiles, which can exceed six meters in length. It’s an intimidating sensation to share territory with creatures that are so big. The team heads through a palm oil plantation for three hours and finally arrives at the jungle border. The plan is to hike south for two days into the jungle. They only have four days to find the bearcat and return to their rendezvous point. The recent rains offer the advantage of being able to see the tracks of the animals that have passed through the area. They find evidence that elephants are near and therefore, they need to be extremely careful. Even the plants in the jungle are well equipped with spikes, barbs, thorns, or a colony of ants. So this means that there are many setbacks when trying to make your way through the jungle. However, the rewards are many. Thorn gets to see a pair sun bears eating. These bears are native to the forests of Southeast Asia and are currently considered vulnerable species. On the second day of his exploration, Thorn runs into an Orangutan. These endangered animals are only found on two places on earth: Sumatra and Borneo. Although finding this animal is not the goal of this adventure, it’s a rare privilege. Will Adam Thorn be able to find the bearcat? Watch this film now.